It’s opening day for Major League Baseball today, and that means one thing: distraction. Baseball games, you see, can be boring. And this is the year 2011, when technology officially declared that it’s a human right not to be bored. That’s where GameSlam, a new online social game, comes in. GamesBeat has a story today about the Illinois-based company Game Time Live Sports Services and its new virtual game, which lets fans bet on what’s going to happen during the real one. The game works online, through Facebook or other sites–and soon on iPhone and Android. You can play against a select group of friends (for money), or with a random group of 100 others (for free). Each player starts with 10,000 points to bet during the broadcast of a game. 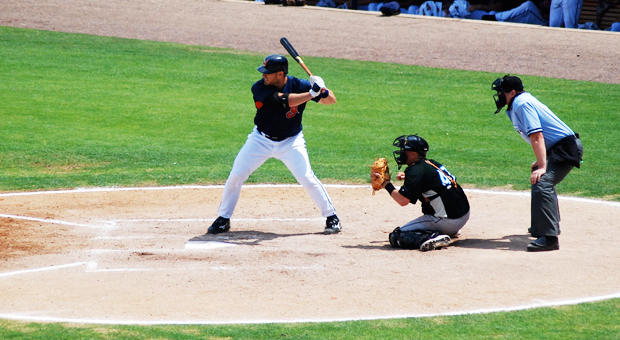 You can make micro-level bets like: will the next pitch be a ball or a strike? Or macro-level bets: who will win the game? Or will the White Sox score this inning? (Probably not–go Cubs! Or something.) For now, it appears that the only prize for coming out on top is the satisfaction of having bested others; in the future, there are plans to have tournaments with prizes for winning the most points. The game has several social features, like chat and check-ins. 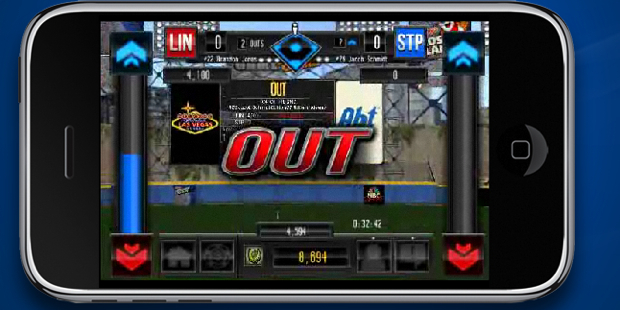 And by channeling stats in real-time from Stats LLC, the game is able to render a simple 3-D animation of the action more or less concurrently with what’s happening on the TV or field (the game isn’t smart enough to know what each player looks like, though, so don’t be alarmed if Ryan Howard looks a little, well, different). Now–play ball! So we can bet on it!